David Cameron has joked about controversial claims made about him by the former Conservative Party treasurer Lord Ashcroft. They include allegations about the prime minister's student days. Up till now Downing Street has said it does not see the need to "dignify" them by offering any comment. 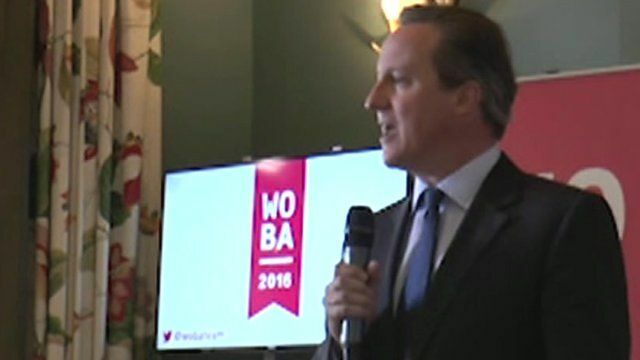 But, speaking about them for the first time, Mr Cameron told a business audience in west Oxfordshire it was Lord Ashcroft who had suffered. "I've had an interesting week. It's a week in which thousands of trees have died in vain, sales of Supertramp albums have gone through the roof and one man's reputation lies in ruins. "I don't think Michael Ashcroft will ever recover."